An attack one night in the mountains left Amber changed forever, or at least changed every full moon. Confused and afraid, she turns to the Internet for a cure. Instead she discovers a small town with a doctor whose research could give her back her life. So she bought a cottage, made a plan, and moved. Jasper grew up knowing the first time a wolf sets eyes on his mate, his life is changed forever. While the bond between them could be an amazing connection, it would also leave him vulnerable to loss and unimaginable pain. He’d seen it happen and vowed to never experience it first hand. Two people. Two wolves. One chance to heal their souls. Her face fell. “I understand.” She started to turn and leave the room, but he grabbed her bicep and stopped her. Jasper jerked his head toward the couch. “Can we please go sit? This…is harder than I thought.” His golden brown eyes darkened. 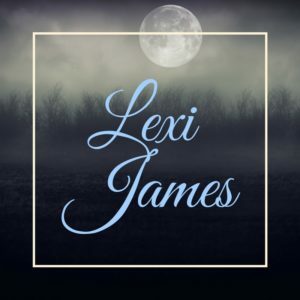 Lexi loves wine, chocolate, and all things supernatural. What happens when she drinks too much wine? She writes stories with hot alpha males with supernatural abilities. Stick around for stories of shifters, hunters, and the women who tame them.